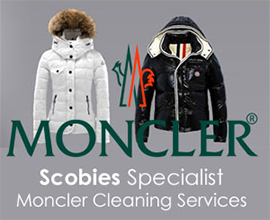 LAUNDRY SERVICE As part of our service, when your garment arrives at Scobies, it is first examined for any minor repairs, which are attended to, on-site, at once, at no extra charge to you. We use the most up-to-date technology in cleaning machinery and chemicals, maintaining our proven way of finishing every garment by hand. Our highly trained team is experienced with all new techniques, to treat every type of stain on today’s ever changing fabrics. We are the only dry cleaners in London to use a environmentally friendly solvent called Hydrocarbon – totally odour free, colour safe and shrinkage free solvent, that is the mildest and safest known for use with fabric.